While Nintendo actually turned profit from both its strong selling 3DS handheld and the putting along Wii U, it still didn’t meet its goal by half. Despite that, Nintendo has managed to turn around a ¥43 billion loss. Nintendo mentioned that weak sales in North America and Europe are to blame and have been riding on the success of the 3DS for the most part which managed to sell 31 million handhelds and 95 million games. For next year Nintendo are looking at 9 million Wii U’s and 18 million 3DS’s to be sold worldwide, a goal that it could very well meet with more top games and stronger advertising. 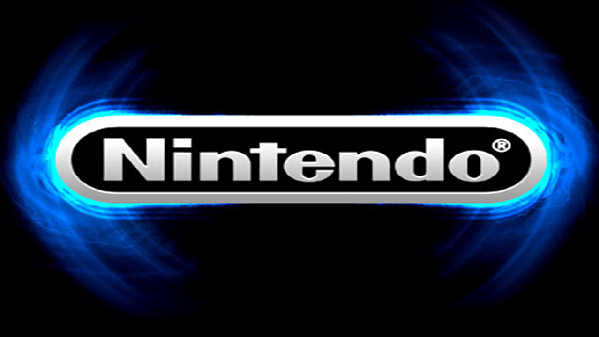 Nintendo have mentioned that it has a plan to make the Wii U turn a profit. This includes releasing top tier first party titles which have been delayed at times when the Wii U launched. These delays definitely hurt the console as confirmed releases at launch—and not just in the launch window—are what actually move consoles. Nintendo promised that long waits between releases are a thing of the past. Fresh first party titles such as new Mario Kart, Super Mario Bros., and Wii Fit are looked at to move consoles worldwide when released in addition to the long awaited Pikmin 3 and the two new Legend of Zelda games coming up. Concrete release dates and a tighter schedule are sure to move some consoles. Nintendo has also mentioned that they will be cutting manufacturing costs to improve profitability. Usually when the manufacturing costs are cut a price cut in the console follows and if it gets even a bit lower for the two available versions it will definitely be more appealing during the holiday season this year and tax season next year. The other thing that could greatly assist Nintendo is more participation from third party developers. If Wii U could snag a main line Final Fantasy or a Grand Theft Auto—which is unlikely—the console would explode. While Mario, Zelda, and Metroid are all great, iconic titles they mainly cater to Nintendo loyalists who will buy the console anyway or who are planning to get it soon. The thing is if there will be third party support on a console that manages to reel in buyers, not the stuff that’s expected. It’s similar to going to a breakfast restaurant with the restaurant promoting “We have eggs!” Of course you have eggs; you’re supposed to have eggs if breakfast is your thing. Nintendo still has time to at least confirm there will be more third party support even though Nintendo has always been a company that got by on first party titles. Lastly, Nintendo has had a shakeup in positions with Nintendo CEO Satoru Iwata taking on the president role of Nintendo of America with former president Tatsumi Kimishima being promoted to general manager of Nintendo. Will this assist in Nintendo’s fortunes? There are some possible advantages to Iwata being in charge such as being in position to see what gets localized firsthand and what North American fans want to see localized. He will also have a better view of how the Wii U and 3DS are promoted in North America and what could be done to improve it. More importantly, with the position that he is in, he could finally give Nintendo of America the go ahead to make games as opposed to just being a publisher. Of course it would take a while for anything to come out of Nintendo of America if this happened. Satoru Iwata stated that he would step down from his position if Nintendo didn’t meet the $1 billion goal he set for the 2014 year. Many analysts believe that Nintendo will come up short of that $1 billion.